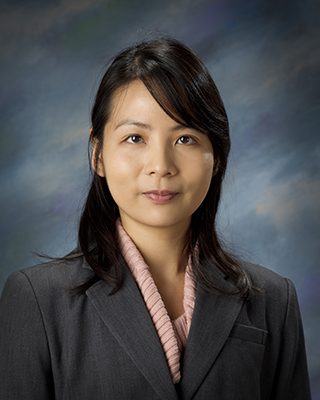 This week’s Vet Gazette Faculty Spotlight focuses on Dr. Chun Ju Chang, who was recently promoted to associate professor of cancer biology and pharmacology in Purdue Veterinary Medicine’s Department of Basic Medical Sciences. Dr. Chang’s promotion was acknowledged along with the promotion of nine other PVM faculty members at the annual PVM Promotions Reception in May. Dr. Chang completed her BS degree at National Taiwan University in 2001. She then earned her PhD in 2007 from the University of California, Los Angeles, and went on to complete her postdoctoral training at the University of Texas MD Anderson Cancer Center. In 2012, Dr. Chang accepted a position at the Purdue University College of Veterinary Medicine as an assistant professor of cancer biology and pharmacology. Dr. Chang has had many different roles and responsibilities throughout her time at the College. She noted, “With a pharmacist background, I have also assumed the responsibility as professor-of-record for the BMS 813 course and developed new lecture material focused on the introduction of basic principles of pharmacokinetics, pharmacodynamics, and functions and mechanisms of the action of drugs.” Research also has been a large factor in Dr. Chang’s PVM career. “My research at Purdue has been focused on understanding critical epigenetic mechanisms involved in the regulation of the cell plasticity and cell fate of cancer stem cells (CSC), a cell population considered as the “seed” of cancer, and translating the promising basic research findings into innovative clinical applications,” she said. Congratulations to Dr. Chun Ju Chang, the focus of this week’s Vet Gazette Faculty Spotlight, as one of ten promoted faculty this year!